To celebrate their sponsorship of ITV’s Love of Dogs, Lintbells are giving away a 3 month supply of their proven triple-action joint supplement, designed for dogs who are stiff or getting older. 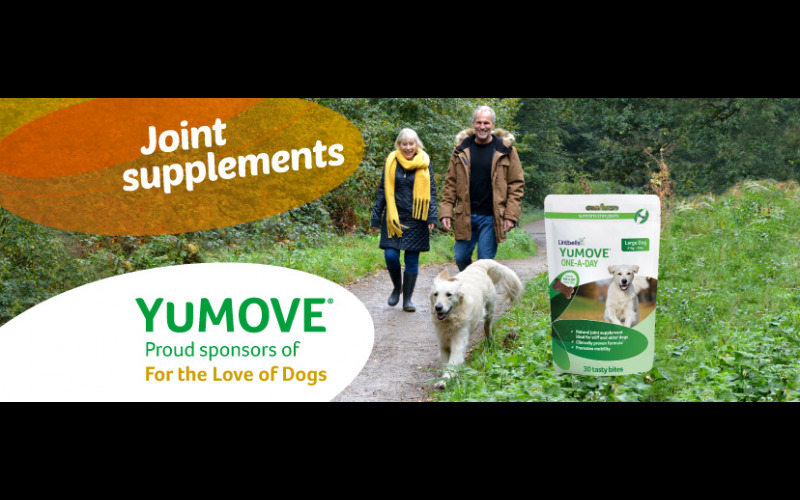 YuMOVE Dog’s premium, natural formula makes a tail-wagging difference for stiff and older dogs in 3 ways: by soothing stiffness, supporting long-term joint health and promoting mobility. It’s proven to work in just 6 weeks*, thanks to ingredients like the world’s top strength, cold-extracted ActivEase® Green Lipped Mussel and Glucosamine, and is now available in a tasty ONE-A-DAY chew that your dog will love.